NEW YORK â€“ Lawyers for authors, publishers and Google on Thursday bought themselves more time to reach a deal to create the world’s largest digital library, telling a judge they were making progress in settlement talks but had agreed to proceed toward a trial of the 6-year-old copyright case on a slow track. U.S. District Judge Denny Chin in Manhattan approved a pretrial schedule that calls for written submissions and depositions that extend into next summer, but he made it clear that he would prefer a settlement and offered to help the parties in their talks if it might help. He called the amount of time in the schedule “generous but acceptable.” No trial date was set. Chin in March rejected a $125 million deal after the original agreement drew hundreds of objections from Google rivals, consumer watchdogs, academic experts, literary agents, the Department of Justice and even foreign governments. Google attorney Daralyn Durie said the parties had made “substantial progress” toward a new deal since a court hearing two months ago and expected talks to continue. After the hearing, the Association of American Publishers put out a statement in which its president and chief executive, Tom Allen, said the publishers “have made good progress toward a settlement” with the Mountain View, California-based Google Inc.
“We are working to resolve the differences that remain between the parties and reach terms that are mutually agreeable,” he added. Michael J. Boni, a lawyer for The Authors Guild, told Chin that authors “would like very much” to continue settlement talks while the 2005 lawsuit proceeds toward trial. Bruce Keller, an attorney for the publishers, told the judge that publisher plaintiffs have made enough progress in their talks with Google that they believe a deal might be reached before the trial schedule needs to be carried out. Keller also said he disagreed with characterizations of the case as being solely about snippets of books, since it pertained to the storage of books, “either whole or in part, including snippets.” Boni agreed that the case was not just about snippets. Google already has scanned more than 15 million books for the project. 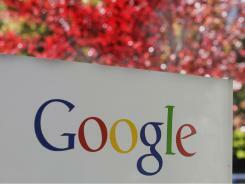 Under the original agreement, Google had planned to put about 130 million titles into its digital library. In rejecting the settlement, Chin said many of the objections would disappear if the library only consisted of works in which authors and publishers had granted their permission rather than a system in which books are included unless Google is informed that an author or publisher objects. The judge has supported the overall goal, saying a digital universe for books would let libraries, schools, researchers and disadvantaged populations gain access to far more books, would help authors and publishers find new audiences and new sources of income and would allow older books â€” particularly those out of print â€” to be preserved and be given new life.